My friend Karyn was raving about this simple but awesome recipe after she stayed at her Son and Daughter in Law’s house . I knew I had to make it, just sounded so good. 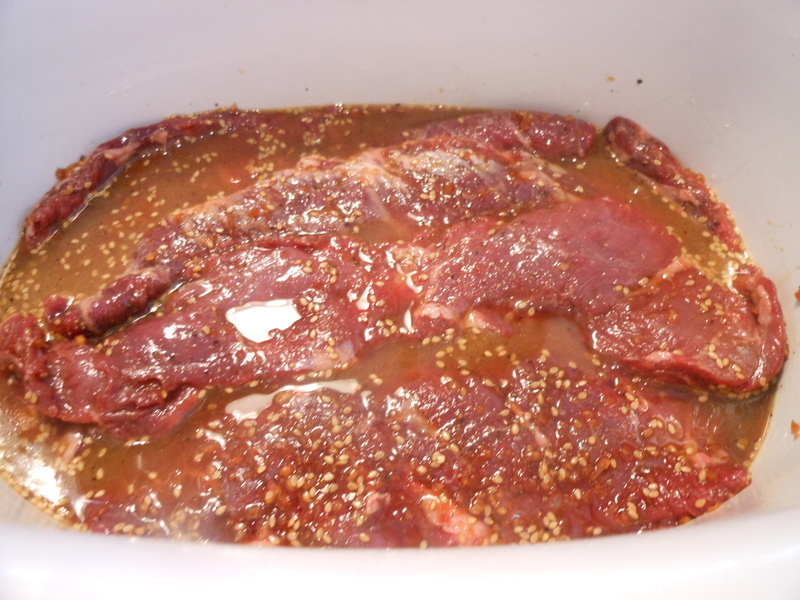 I am always looking for new ways to use my slow cooker and Joel loves skirt steaks, so this was a win win. There are certain people in your life you just trust when it comes to food, Karyn is definitely one of them. I spoke to Bree and she said she never measures it out but was able to give me some guidelines. Now that I’ve made it for myself I get it, and it really couldn’t be easier. Sometimes the simplest recipes are the best . Again Thanks to Bree for your back and forth emails and mostly for your recipe. I love it when the young cooks turn me on to new recipes! Keep ’em coming. Joel absolutely loved it!!!! 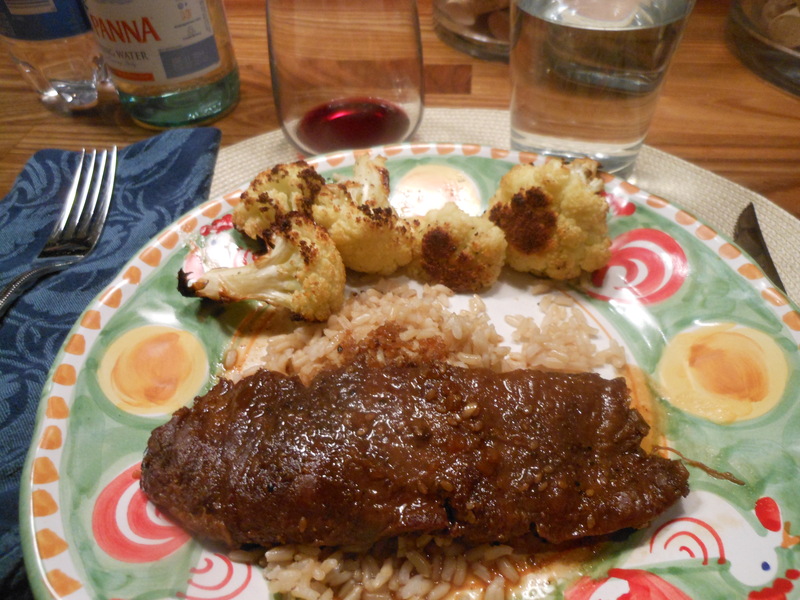 I served with roasted cauliflower and brown rice, but you know he didn’t touch the cauliflower which was so delicious. 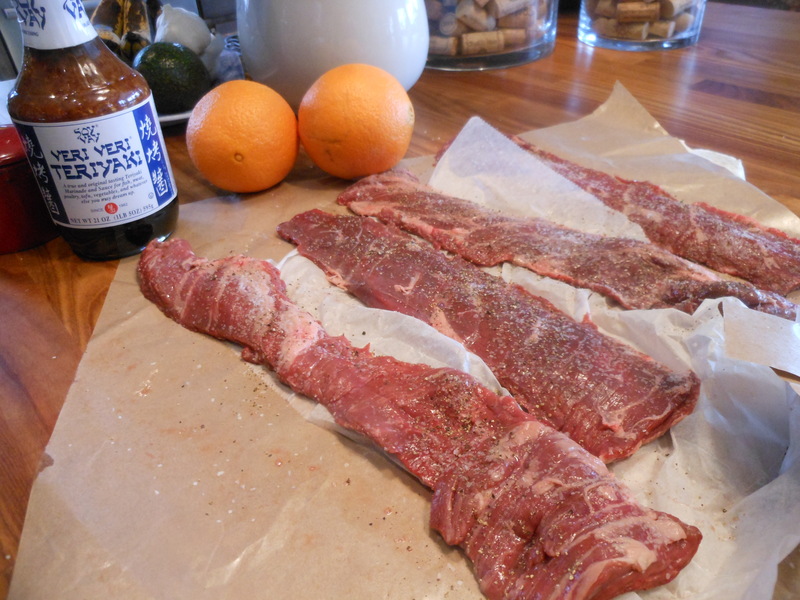 This entry was posted in marinade, meat, slow cooker and tagged Bree's Slow Cooked Skirt Steak, Skirt Steak in the Slow Cooker, Slow Cooked Skirt Steak. Bookmark the permalink. Valentine dinner was delicious! Steak was very tender and tasty. No leftovers…. yeah! love that recipe and may make it again tonite, can’t get enough of it. So easy and so fast!! !